The Hull Daily Mail scooped a print and digital double at last night’s O2 Media Awards after being named best newspaper and best online product. The Reach-owned daily pipped the Yorkshire Post and Huddersfield Daily Examiner to the top print prize as the O2 awards for Yorkshire and the Humber were handed out at Leeds United FC. Mail journalists also won the award for most memorable print story for its coverage of a transgender taxi-driver’s £4m scratchcard win. The Whitby Gazette, whose editor Ed Asquith has just stepped down after six years, retained the best weekly newspaper award. Other top awards went to YP and Yorkshire Evening Post reporter Ruby Kitchen, who was named best print news reporter, and the YP’s Simon Hulem who picked up the best photographer prize. There were two awards for the Grimsby Telegraph – best young print journalist for Conor Lynch and best image for its picture of a police raid in the town. BBC Breakfast’s Louise Minchin hosted the awards alongside O2’s Head of Corporate Communications Dave Massey at Elland Road. 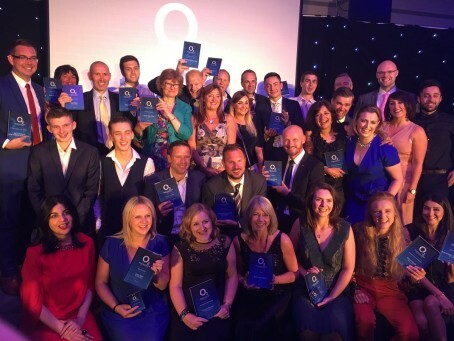 Nicola Green, Director of Corporate Affairs at O2, said: “This year’s O2 Media Awards reflected the major impact the media and creative sectors have on their region and across the UK. It was wonderful to celebrate the achievements of individuals and organisations working in TV, radio and print.